Listen to your favourite songs in music player. It supports MP3, AAC, AAC+, eAAC+, WMA, WAV, AMR, OGG etc. file types. It's been a long time since we last saw a phone exclusively targeted at women. Was the Nokia 6600 fold or the Samsung Diva the last ones? Bundled charm, dock, and earphones work well. 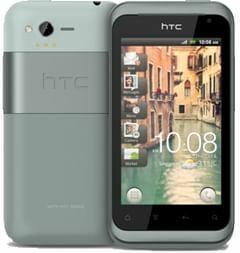 Another stylish mid-range offering from HTC&hellip;but is it offering anything particularly new?